The Asus P4B533 I’m reviewing here is my own personal workstation. The board is version 3.0 with the 1006 BIOS. Supports socket 478 P4 processors up to 2.2 GHz+ with enhanced 533MHz FSB. As you can see the board is laid out very well. There is plenty of room for an aftermarket heatsink. It also has a Molex plug for those of us that don’t have a P4 ready power supply. Asus calls this EZ Plug. There are 6 PCI slots, 1 AGP slot and 0 CNR slots. There is also no legacy support for AGP cards. Meaning an older video card could toast your mobo! There are 3 DDR dimm slots, which support up to a maximum of 4 banks of memory. Dimm 1 uses 2 banks and dimm 2 & 3 share the other 2 banks. If you have 2 double-sided sticks of RAM you must install one of them in slot 1. 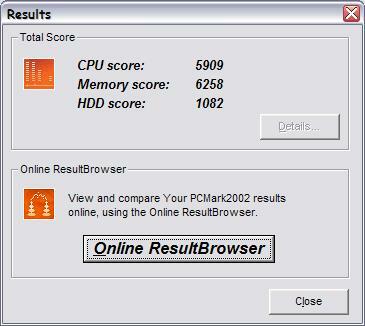 While the i845E chipset itself does not support anything above DDR 266, there should be no problem with PC2700 or more. I am currently running Xtreme DDR PC3000 with no problems whatsoever. The IDE connectors being on the edge of the board makes for a very clean installation, as far as wiring goes. Swapping the floppy and ATX connectors places would have made more sense and the DIMM slots are to close to the AGP slot (removal of the video card is required in order to swap RAM). P4B533 Series motherboards redefine high-performance for Pentium 4 with the Intel 845E chipset and DDR 266 support. Overall system operation is enhanced with a peak 2.1 GB/s bandwidth, while 533MHz FSB supports the latest Intel P4 processors. 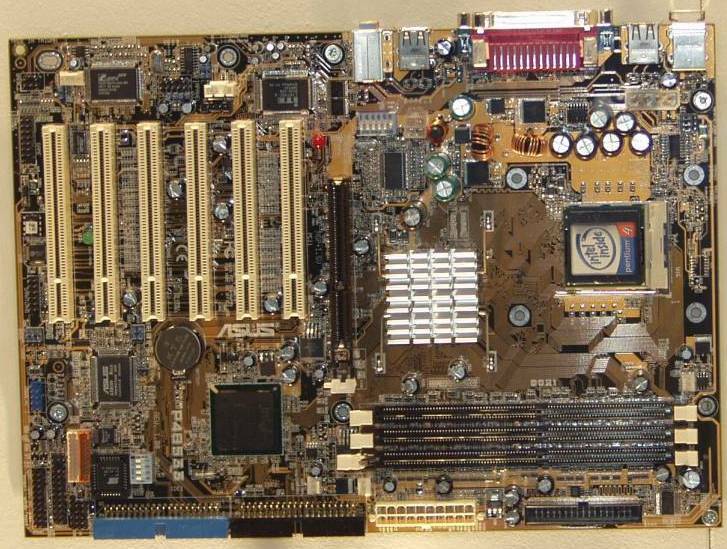 Available in a large variety of models, the ASUS P4B533 Series motherboard provides reliable and powerful solutions for all types of Pentium 4 systems. 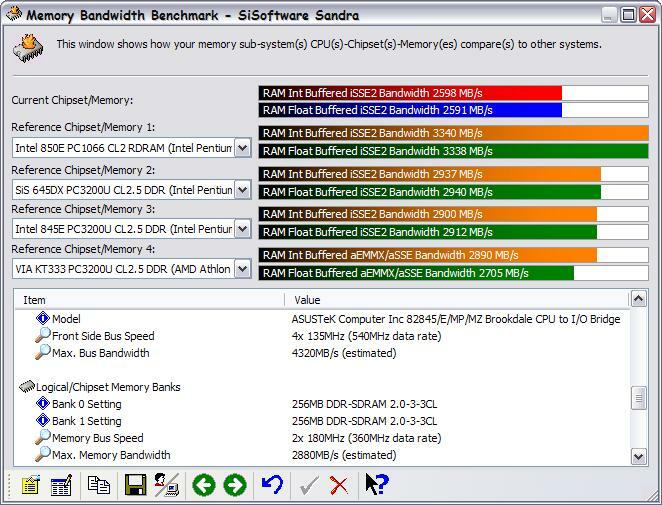 The P4B533 supports all socket 478 P4 processors including Willamette and Northwood up to 2.2GHz+. The 533MHz FSB increases bandwidth and improves overall system performance. The ASUS P4B533 and the Intel 845E chipset unlock the value of Pentium 4 technology with high-bandwidth DDR SDRAM. Supporting up to 2GB of PC2100/PC1600 and a peak bandwidth of 2.1GB/s, the P4B533 enables enhanced performance in multimedia applications, video, audio, 3D games and more. The P4B533 uses an onboard C-Media audio controller, letting you enjoy 6-channel audio without having to buy advanced sound cards. The ASUS P4B533 features USB 2.0 support. USB 2.0 is the latest connectivity specification for peripheral devices and features transfer speeds of up to 480 Mb/s. Approximately forty times faster than conventional USB 1.1, USB 2.0 is backwards-compatible supporting all the USB devices of today and tomorrow. ASUS Q-Fan™ intelligently adjusts CPU fan speeds according to system loading. The result is maximum fan power when you need it most and quiet operation when you don’t. A unique onboard speech IC chip and ASUS POST Reporter™ provides clear explanations of system errors for quick and easy optimization. The P4B533 also includes Winbond® Voice Editor allowing users to add customized system voice warnings and multi-language support. The ASUS EZ Plug™ power connector lets you use your existing power supply and eliminates the need to buy a special ATX 12V power supply necessary to support your P4 CPU. Get rid of boring boot up screens. ASUS MyLogo2™ personalizes and adds style to your system with customizable boot logos with up to 256 colors. The P4B533 is ultra-expandable with 6 standard PCI interfaces and connections for 6 USB 2.0 ports. 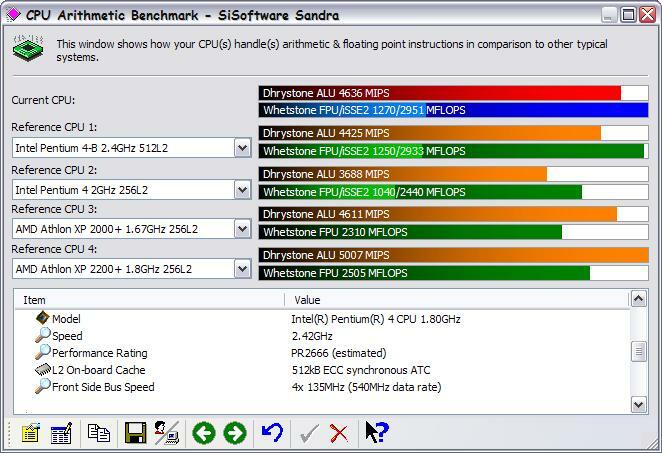 ASUS P4B533 offers the most overclocking options available to maximize your system performance. All ASUS motherboards are designed and tested to meet the highest quality standards. Responsive customer support and frequent BIOS and driver updates ensure that you’re getting the fastest, most reliable performance – all the time. All ASUS motherboards are also backed by a 3-year limited warranty. The P4B533 is an amazingly stable platform. I have had very few real problems with it. It will run at stock settings forever and run stability testing programs with nary a hiccup. For anyone wanting a very stable workstation this would be an excellent choice. On the other hand, anyone wanting a system for gaming or overclocking, this would also be an excellent choice. First up, some Benchmark’s at stock settings. I will be using SiSoft Sandra 2002 Standard ver. 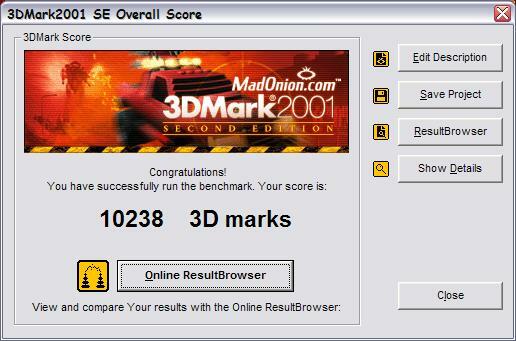 6.8.97, 3D Mark 2001 se and PC Mark 2002. The P4B533 motherboard BIOS is set to stock 100MHz FSB, Memory by SPD and ATI Radeon 9700 Pro set to stock quality settings. Enough with the stock speeds lets see what happens to the tests when we apply a little overclocking goodness. 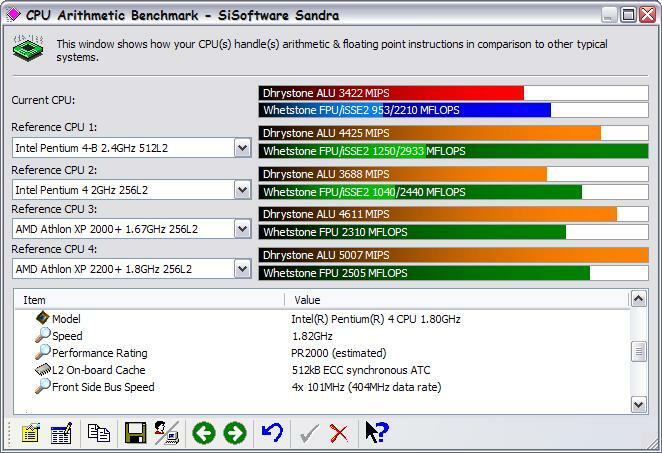 Overclocking with the P4B533 is really very easy. No multipliers to mess with as Intel locks those down for our safety. The P4B533 has many other options available through the BIOS though. The 1006 BIOS allows you to select FSB settings ranging from 100-400 MHz (in 1 MHz increments). I doubt if I’ll ever use it, but it’s comforting to know it’s available (why I don’t know). There is also a CPU/Memory divider setting of Auto, 1:1 and 3:4 at FSB settings below 133. When the FSB is set to 133 or above the available options are Auto, 1:1 and (the practically useless) 4:3. Who wants to underclock your memory! There is a workaround to allow the 3:4 setting and it does work! Links to this feature can be found at the end of this article. 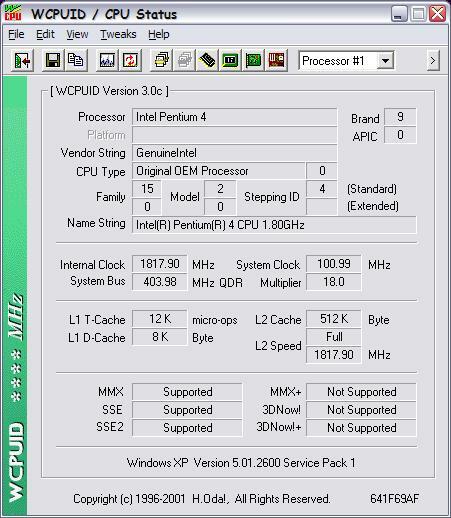 Also available in the BIOS is an AGP/PCI lock, whereby you can lock down the frequency of the AGP/PCI buses to keep them within specs. A lot of overclock’s fail when the PCI cards are run to far out of spec. I have mine locked down at 66.66/33.33 to keep everything within normal operating parameters. Voltage is also adjustable from within the BIOS. Normal Vcore range is from 1.5v-1.7v in .25v increments. There is an overvolt jumper on the board that will allow you to get more voltage. I do not recommend this though. As some people are experiencing premature CPU Deaths after doing this. 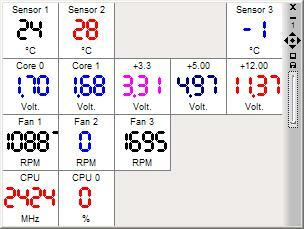 The DDR RAM voltage is also adjustable from 2.6v-2.9v. As is the AGP voltage at 1.5v-1.7v. Radeon 9700 Pro at stock quality settings and no overclock. This is one great Motherboard. This is my first Intel system other than a POS Hewlett Packard from a long time ago. Up until this system I have always been an AMD guy. I still like AMD, but I’d have to say I am very pleased with my first foray into the Intel realm. The P4B533 is the most stable platform I have ever used. It overclock’s well and easily. If you were planning an Intel P-4 system this would make an excellent choice. I give it my seal of approval. I would like to thank a few of my peers for the invaluable information they have provided in making this article possible. Though they did not contribute directly the information is freely available.